The Equipment Leasing and Finance Association (ELFA) has just released it’s “What’s Hot/What’s Not: Equipment Market Forecast 2019” report. Based on the association’s projections, this year will see a 4% increase in equipment spending throughout the nation. Compare that with an 8% increase in 2018. Growth is growth, yet—with this year’s projected growth half of last year’s, and with a general consensus that the economy is likely to slow down next year—the statistics do raise a sense of caution. Another consensus: capitalizing on growth in the current, sound environment can act as a strong buffer if and when the nation’s economy slows or stagnates. And that can partly explain businesses making investment now in their infrastructure. The Yard Ramp Guy has served each of these industries (and continues to do so). 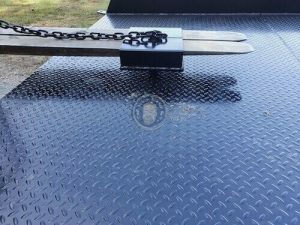 Many of our customers finance their yard ramp purchases, and we’ve made the process as simple and straightforward as possible. On most of our Used Yard Ramp listings, you’ll find a “Calculate my Payments” link, alongside a link to Learn More About Financing. We’re pleased to have recently partnered with ACG Equipment Finance and appreciate the simplicity of their approach to financing. Want a high-level overview? Our Yard Ramp Financing page covers it. Have questions? Give us a call: (888) 977-4224. Here’s to your healthy, profitable 2019 . . . and beyond. This week, our man McCoy Fields travels back in time and place to the Americas of 1491 and discovers bustling civilizations and no shopping malls. Read his terrific blog HERE. The Yard Ramp Guy covers topics directly and indirectly related to the yard ramp industry.